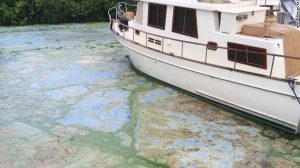 Less than two months ago, Clean Water Warrior (CWW) noted that the Florida Keys, and the fragile coral reef surrounding them, were always at risk from Harmful Algae Blooms (HAB). These blooms are largely caused by hot weather and, just as importantly or perhaps even more so, rain-induced nutrient runoff from agriculture and communities. Today, as the Army Corp of Engineers drains water from Lake Okeech0bee — the result of unusually heavy rains from the 2016 rainy season (tied, of course, to global warming) – South Florida is in a full-blown HAB crisis. is again at work. Too much rain,creating too much runoff, flowing with too few natural or man-made restrictions into waterways that eventually pour too much phosphorus and nitrogen into slower moving waters, lakes, and, in this case, ocean shoreline. Bottom line: the best chance of reducing HABs is to control what can be controlled. Rain? No. Man-made construction to re-route water, dam, or chemically alter? Maybe — but at an often exceedingly high price. 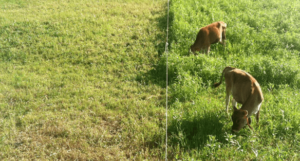 Reduction of nutrients applied to land? Yes. 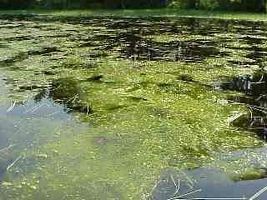 Creating large land buffers to capture much more of the nutrients before they enter the waterways? Yes. And it is with the last two solutions that Florida must start. Cooperation, not finger-pointing, is the key.